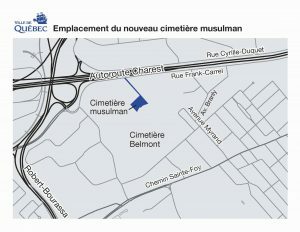 THE City of Québec on Friday announced that it has accepted, subject to the approval by City Council, an offer submitted by the Centre Culturel Islamique de Québec (CCIQ) to purchase municipal land that will allow the construction of a cemetery for the Muslim community in the greater Québec City region. The selling price of the land set at $270,000 plus applicable taxes has a surface area of 5,706 square metres and is located south of Frank-Carrel Street adjacent to the Belmont cemetery. Current zoning regulations allow the establishment of a cemetery on this land and, therefore, no changes to zoning are required. The City of Québec has been concerned by this situation since 2008. At the time, the CCIQ expressed an interest in the land owned by the Belmont cemetery. The transaction between the parties was not concluded given the various technical and regulatory constraints. Over the course of the following years, the City acquired surplus land owned by the Belmont cemetery, including the land in question, for various purposes. The recent CCIQ project in another municipality having not worked out, discussions resumed with the City to find land. 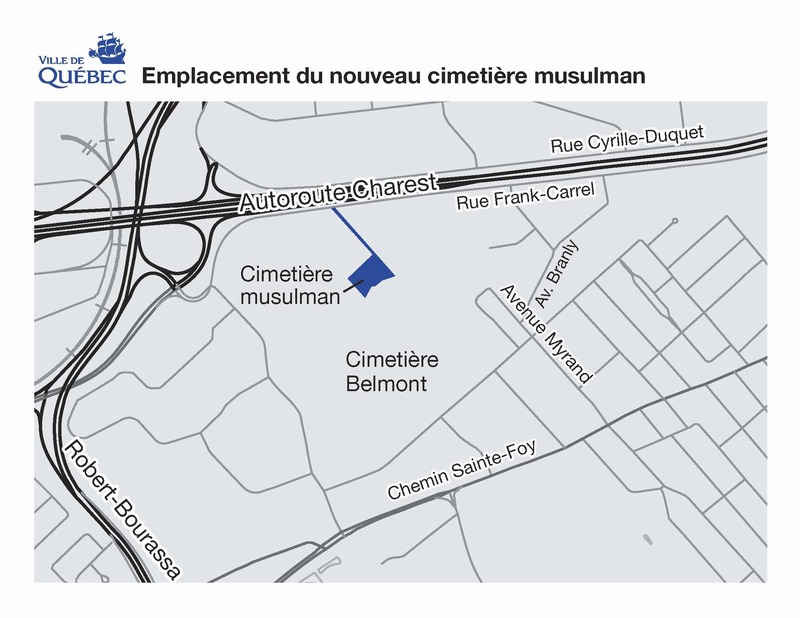 The actual configuration of the property therefore allows the City and the CCIQ to reactivate the project adjacent to the Belmont cemetery with the sale of parcels of land that will permit the construction of the Muslim cemetery and an access road.